Figure 1. Ambassador Lhuillier (center) with the Honorary Consul of the Philippines to Malaga, Rosa Aguera, Vice Consul Raisa Mabayo and the FilCom leaders of Malaga. Figure 2. Ambassador Lhuillier addresses the FilCom who attended the wreath-laying. Ambassador Philippe Lhuillier met with the leaders of the Filipino Community in Malaga on 12 February 2018, in a meeting coordinated by Ms. Rosa Aguera, Philippine Honorary Consul in Malaga. 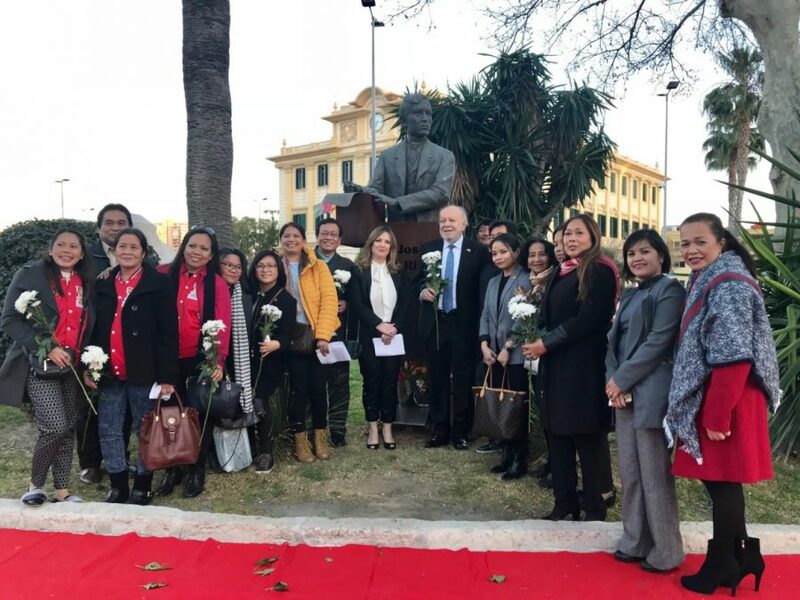 The group also took the opportunity to pay tribute to the Philippine National Hero, Dr. Jose Rizal, whose monument stands at the old center of Malaga along Paseo Maritimo. In her remarks, Honorary Consul Rosa Aguera spoke of the mutual affection and respect between the peoples of the Philippines and Spain, symbolized by Rizal’s presence at the heart of the city. Ambassador Lhuillier thanked Consul Aguera for her initiative and the FilCom leaders for making it to the event despite their busy work schedules. He reassured them of the Embassy’s continued support and readiness to assist the community in Malaga. 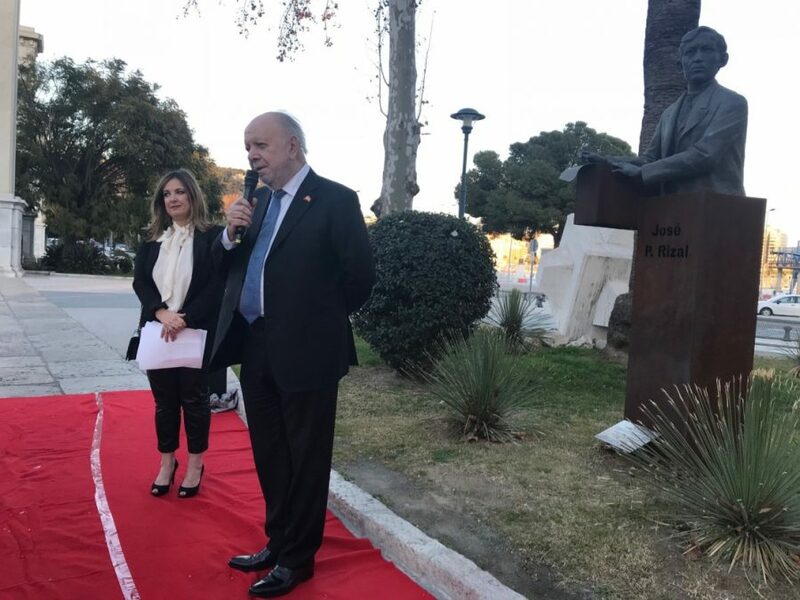 There are around 3,000 Filipinos in Malaga, most of whose exemplary behavior as integrated citizens of the city were praised by officials from the Spanish police, as conveyed by the latter to the Ambassador, at a separate meeting.